First performed as a cycle of four operas in 1876, Wagner’s visionary Der Ring des Nibelungen (The Ring of the Nibelung) is one of the greatest works of art. Centred around a ring which offers its bearer ultimate power and the attempts of various people to acquire it, the Ring cycle explores the relationship between love and earthly power and the themes of yearning and loss, all within a setting of medieval legend. The Prologue Das Rheingold depicts the theft and subsequent surrender of the ring forged from the Rhinemaidens’ gold by the Nibelung dwarf Alberich. 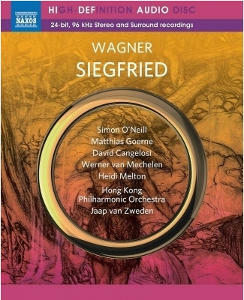 The Wagner bicentenary two years ago spawned a number of excellent recordings of his operas on both CD and SACD. 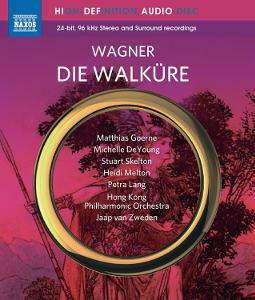 Even the tetrology &apos;Der Ring des Nibelungen&apos;, for many the pinnacle of the composer&apos;s operatic achievements, received a new complete recording from Marek Janowski in Berlin, while Valery Gergiev and his Mariinsky forces have so far only reached the halfway stage in their planned cycle. Now we have the start of a four-year project from the Dutch conductor Jaap van Zweden, the current music director of the Hong Kong Philharmonic Orchestra, to record one opera from the Ring every year to 2018. 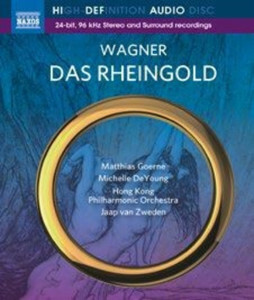 Like the versions listed above this new &apos;Das Rheingold&apos; is also taken from concert performances, here given in Hong Kong Cultural Centre’s state-of-the-art Concert Hall (January 22nd and 24th, 2015). Jaap van Zweden is no stranger to Wagner – witness his very impressive live recording of Parsifal given in the Concertgebouw, Amsterdam in 2010 Wagner: Parsifal - van Zweden – and he has assembled an international cast of experienced Wagner singers for this venture, making this definitely a version to be reckoned with. The dark vocal timbre of Matthias Goerne seems ideally suited for the role of Wotan and he brings to it the fine qualities familiar from his many lieder discs. His singing throughout has an enviable nobility and beauty of tone allied to immaculate diction and sensitive delivery of the text. He will surely become one of the great Wotans of his generation. As his spouse Michelle DeYoung combines youthful seductiveness with imperious power and her interactions with Goerne are gripping. It will be interesting to hear the development of these two characters in the next instalment, &apos;Die Walküre&apos;, due to be recorded in January 2016. The vastly experienced Peter Sidhom captures the malevolent Alberich with great success. He manages to bring the drama of his many memorable stage performances to the concert hall, and if his portrayal occasionally verges on caricature this is a small price to pay for the vividness of his interpretation. David Cangelosi as Alberich&apos;s servile Nibelung brother avoids the vocal excesses of some Mimes heard on disc, and gives an intelligent and well sung account of the role. Kim Begley beautifully nuanced Loge is also most welcome. His agile and graceful singing is matched with his feeling for the words. The Rhinemaidens too are an attractive trio and the Giants Fasolt and Fafner are also reliably sung by Kwangchul Youn and Stephen Milling respectively. Among the supporting cast the Australian Deborah Humble impresses with her imposing &apos;Weiche, Wotan, weiche!&apos; though her fast vibrato will not suit all tastes. Only the Donner of Oleksandr Pushniak disappoints with his wobbly delivery of &apos;Heda! Heda! Hedo!&apos; that is no match for the Donners heard on the Janowski and Gergiev versions to name but two. The greatest praise, however, must surely be reserved for van Zweden&apos;s firm and unfussy direction of the splendid Hong Kong Philharmonic whose playing throughout shows them to be a very capable and responsive band. The conductor&apos;s unhurried pacing and eloquent unfolding of the score brought to mind the Wagner style of Rudolf Kempe – a view reinforced by noting the care with which van Zweden balances his forces and his avoidance of histrionics. 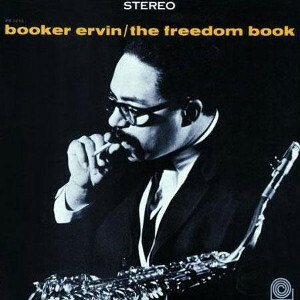 The recording (24-bit, 96kHz), from the capable hands of tonmeister Phil Rowlands (producer and engineer), whether heard in 2.0 PCM stereo or 5.1 DTS Master Audio surround is very fine indeed. There is a wide spread of sound between the speakers with both singers and orchestra given a tangible presence within a a warm acoustic ambience. 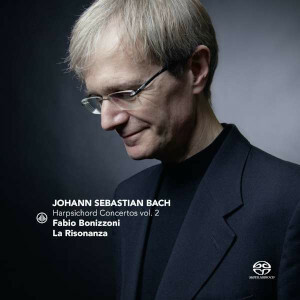 The opera is accommodated on a single Blu-ray disc and the advantage of being able to listen to the whole work (2&apos; 33) in one uninterrupted span is,of course,invaluable. 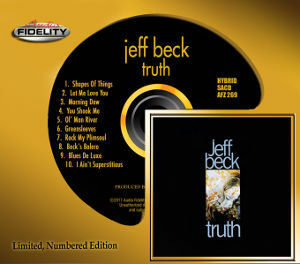 Though no libretto is provided with the disc, one can be downloaded from the Naxos website www.naxos.com/libretti/660374.htm. but only in German. 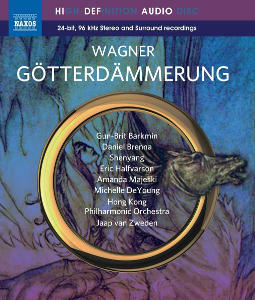 This most arresting beginning to Jaap van Zweden&apos;s Ring cycle will surely be welcomed by all ardent Wagnerites.